We provide components for footwear and orthopaedic footwear, windowpane seals, stylon tapes, as well as PU and PE foams. 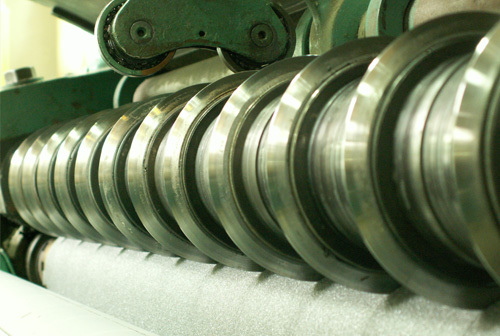 We have modern machine facilities, thanks to which we can meet the most difficult requirements of our clients. Our offer contains a great selection of linings, interlinings, knitted fabrics and latex fabrics. 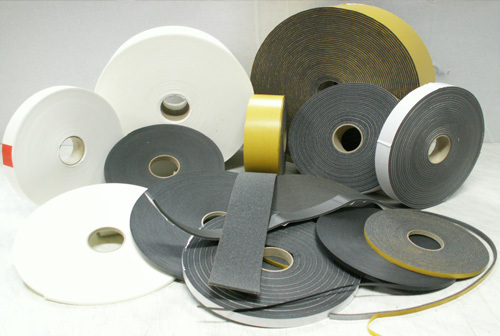 We produce the highest quality stylon and cotton reinforcing tapes, which we can offer in different colours and widths. The Borpelle company was established in 1963. As a small production plant, with every year it was gaining experience and developing machine facilities, constantly modernising its products and services. Due to this, it has become a strong, dynamic company with traditions and experience. Currently, thanks to its strong market position achieved due to the high quality of its products, the company is a supplier for the largest and most important footwear manufacturers in Poland and also provides services for a large number of clients outside of Poland. We say with confidence that our products can compete with the ones produced by global companies. Our prices are always competitive in relation to the prices of all other companies of this type in Poland. We owe it to the stability of the production plant, to the experience and to the wide range of products that we constantly extend. Borpell is a solid co-operator Our 50 years of experience confirms the reliability and high quality of service. We assume total responsibility for the services rendered. Client’s satisfaction is our top priority. We are at your disposal and we are glad to help. We would like to invite you to check our commercial offer. We provide services mainly for footwear, leatherwork, automotive, orthopaedic and construction industries. In addition, we offer services such as cutting, laminating, coating and glueing the materials. Over the years, our company gained more and more experience. It was noticed and appreciated by the organisers of the Poznań International Fair, among others. 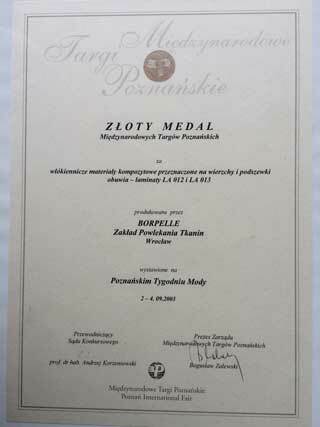 In 1998 we received a certificate of membership of the Polish Chamber of Leather Industry. 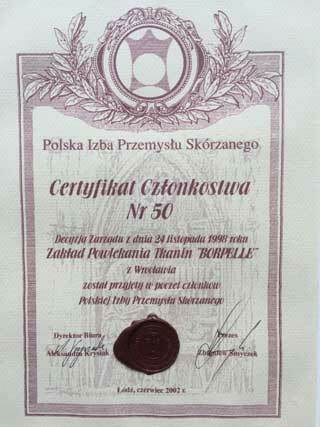 We were appreciated by the Wrocław City Council for our 50-year existence as a company. For more than 20 years we have participated in the Lineapelle International Fair in Italy.